Premium therapy sleeves gently roll on providing 360 deg coverage of hard to treat limbs. Therapeutic cold or heat is delivered to the entire circumference of the injured area deep into soft tissues to treat swelling, pain and bruising. Torex® sleeves are designed to glide on easily and provide comfortable compression. Use cold for fast first aid on acute soft tissue injuries, or apply warm to soothe painful joints. Made of premium medical grade materials that stay ultra-soft and mold to the body. Includes insulating compression bandage to protect skin from extreme temperatures and supply slight compression. 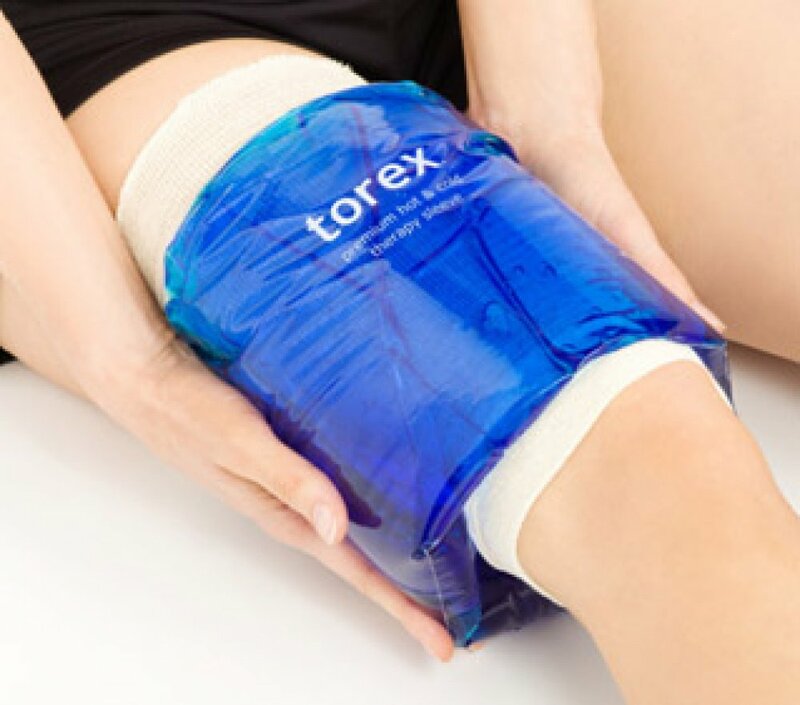 Used cold, torex® addresses two of the four steps in the RICE (rest, ice, compression, elevation) method of injury treatment. Available in 5 sizes to treat fingers, hands, wrists, arms, feet, ankles, calves, knees and thighs. Guaranteed! 100% satisfaction with a 90 day warranty. Always apply insulating compression sleeve to desired area first. Roll torex® into place over insulating sleeve. For best fit measure loosely around the largest part of your limb. Refer to Circumference column on Sizing Chart. Always ensure torex® is sized correctly and does not fit too tightly, which can restrict circulation. Two fingers should easily slide between the pack and the treated area. For maximum life and performance we recommend that torex® be stored in the freezer after package has been opened. To store and protect torex® out of the freezer always place in a heavy duty zip type freezer bag, squeeze out air and seal closed. Return to freezer as soon as possible. Normal product life is about one year.